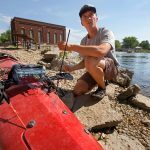 Our successful 11-day paddle down the full length of the Rock River using a new, innovative water quality array. Read more here. View highlights of twenty years of Rock River Coalition accomplishments in an interactive map. RRC was a leader in the development of this state-wide program to inspire, guide and recognize municipalities of all sizes for exemplary work with water resources. 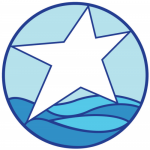 More than 25 municipalities in Wisconsin are Water Stars, either gold, silver or bronze. 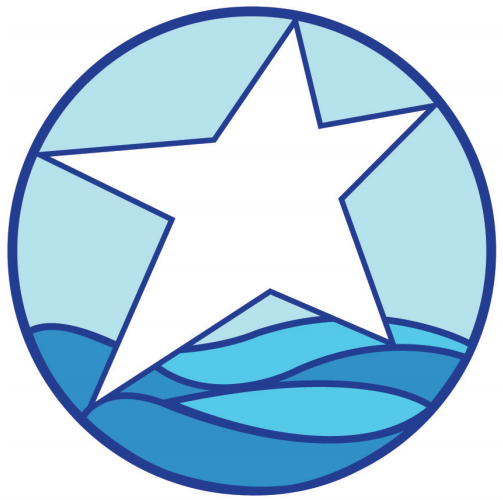 In the Rock River Basin the following communities are Water Stars as of February 2012: Dane and Waukesha counties, Beloit, Whitewater, Fitchburg, Middleton, Sun Prairie, DeForest, Johnson Creek, Oconomowoc and Monona. The RRC has trained more than 200 individuals in monitoring water resources, currently 70+ are monitoring wadeable streams in the basin. 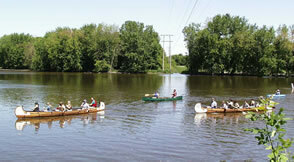 The program has been recognized with the 2005 Wisconsin Voluntary Stream Monitoring Group of the Year Award. This program was initiated in 2004, with a focus on monitoring the restoration of a large muck farm just west of Lake Mills from farm fields to prairies and wetlands. The RRC received the 2005 DNR Citizen-based Monitoring Program of the Year Award to honor our two monitoring programs. The RRC produced this nine fact sheet series to help other groups in the state monitor their own local wetlands. The RRC developed a presentation on the impact of phosphorus on lakes and streams focused on the need to restrict the use of excessive application of phosphorus fertilizer on residential lawns. 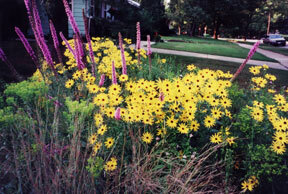 The presentation was used by many groups throughout Wisconsin during the debate on a new law to restrict excess application of phosphorus on residential lawns. RRC was responsible for bringing together 37 municipalities, consulting firms and organizations to support the development of the $96,000 model developed by the United States Geological Survey. SYLDTR is a major annual educational event with great participation from elected officials. Contact info@rockrivercoalition.org to request a flyer for our next SYLDR. 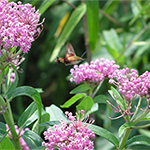 Twenty native shoreline restoration projects were developed as a result of RRC work. A $10,000 DNR River Grant leverages $175,475 resulting in 46,145 square feet of shoreline and 6,000 linear feet of shoreline protected. (Project completed in 2005). 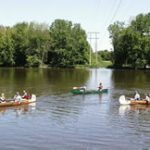 In 2005 and 2006, the RRC helped organize a Watertown River Walk Mayor’s Committee to help develop the concept of a river walk and to generate community support to help make it a reality. Storm Water Round Tables helped municipalities deal with the complex problem of controlling storm water. 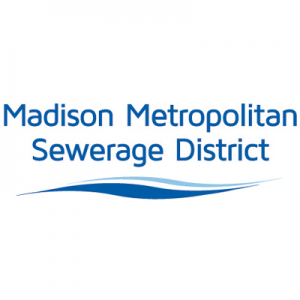 The work of the stormwater issue team lead to the development of the Rock River Stormwater Group, earlier several members of the issue team helped develop the education plan for the Madison Area Municipal Stormwater Partnership. More than 2,000 people have attended RRC programs including a major 2005 conference and the more recent Koshkonong Creek Forum. The RRC has sponsored workshops helping people become skilled or knowledgeable about natural resource issues and opportunities. The RRC sponsored one of the first green development workshop in the state: Grow Smart – Grow Green; other workshops included Writing Environmental Grants, Storm Water Techniques, Cost of Community Services, Using Impact Fees, Computer Assisted Land Use Decision Support , Building Rain Gardens and Native Shoreline Restorations. Rock River Coalition Environmental Action (pdf, 1.3mb) booklet developed and published. Groundwater Educational Efforts: The Groundwater Issue Team developed a number of groundwater focused programs including a Karst brochure and display that won two national University Extension Excellence Awards. The team hired a consultant who completed 21 Farm*A*Syst assessments to identify potential groundwater contamination sources and hosted 4 demonstrations on how to properly seal unused wells to protect groundwater from contamination. 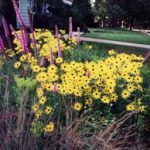 In 1998 the RRC agreed to be the DNR’s partner team for the basin leading to a great collaboration between the Coalition, DNR and UW-Extension. 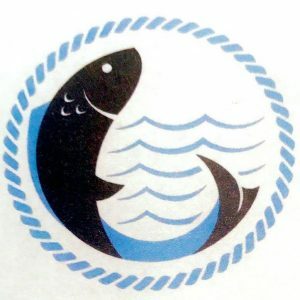 The RRC gathered citizen input through written surveys, self-initiated phone surveys and an open Forum identifying the most critical natural resource and environmental issues in the basin. This resulted in the organization of six issue teams that over the next ten years developed extensive programs and products. Developed in 1997 after the RRC enlarged its focus from the Rock River corridor to entire basin. More than 100 communities, businesses, organizations and agencies sent letters of support for the nomination. Invited to national river symposium and asked to participate in final plenary panel. 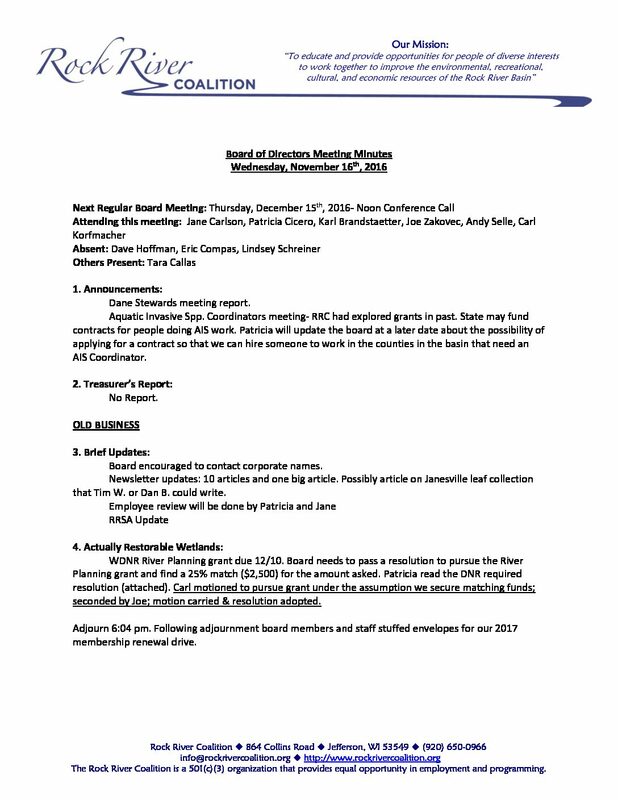 Incorporated as 501c(3); in 1996 after extensive strategic planning, determining important goals and activities. The RRC was originally organized in 1994 as the Rock River Corridor Coalition.